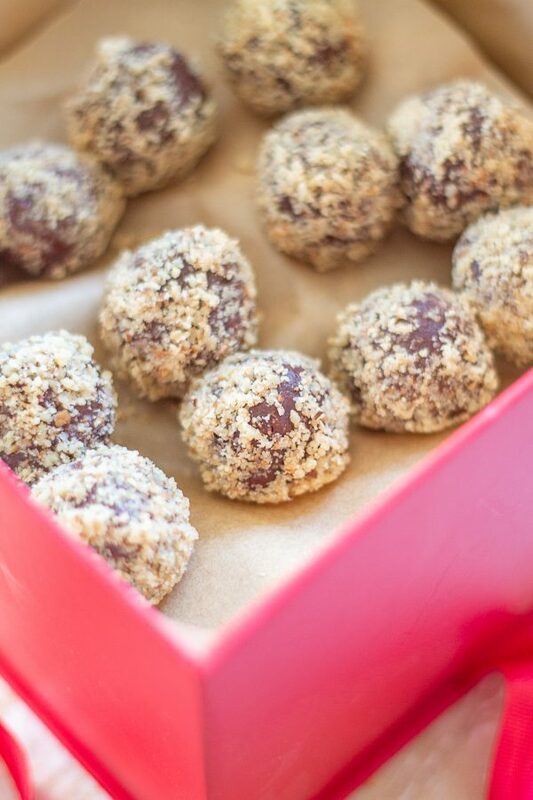 Let me teach you how to make truffles just in time for Valentine’s Day. 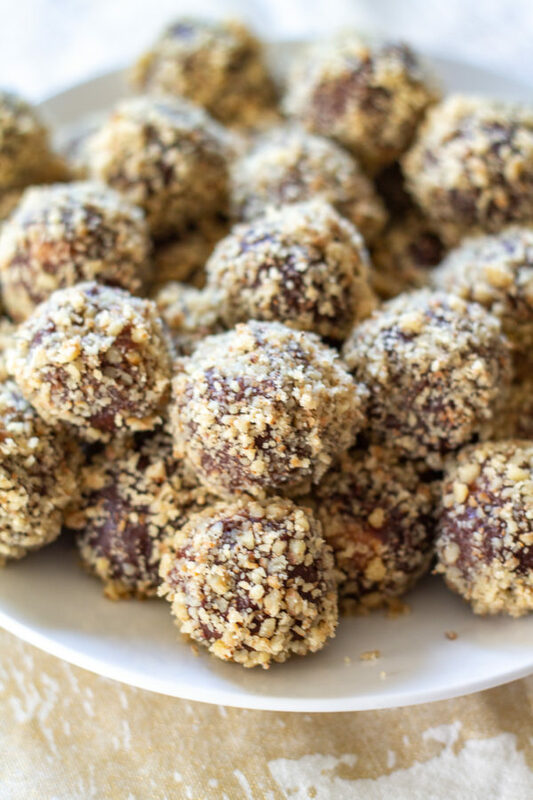 These Chocolate Truffles Stuffed with Cookie Dough are a delicious homemade gift, and they are easier to make than you think! My mom has been making chocolate truffles at Christmastime for as long as I can remember. 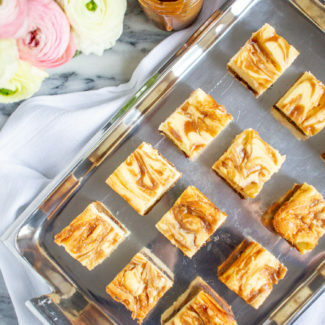 Her recipe is so simple, you just combine butter, chocolate, and cream over a double boiler. Once the chocolate melts you add powdered sugar and egg yolks. Then you let it cool so you can roll the truffles. While Mom makes truffles for Christmas, I think they are perfect for Valentine’s Day! Instead of making plain chocolate truffles, I made chocolate truffles stuffed with cookie dough. Since I don’t have a cookie dough recipe that is safe to eat raw, and since I wanted to save time, I bought edible cookie dough at my grocery store. I used chocolate chip cookie dough made by The Cookie Dough Factory. (They didn’t sponsor this, but I wanted to share the brand with you since it is made without egg). 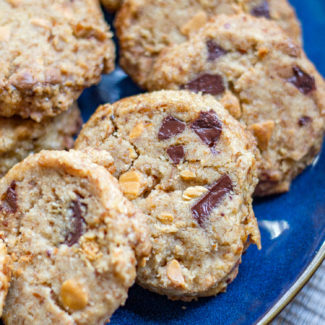 Important side note: You must use edible cookie dough for this recipe. Not all cookie dough is safe to eat raw. 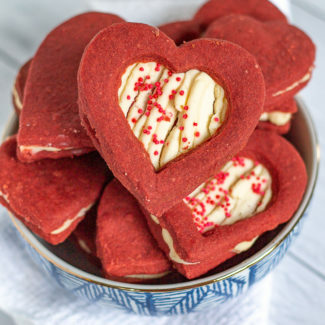 I really don’t want you to make a Valentine’s Day present that gets your date sick. The most time consuming part of this recipe is waiting for the cookie dough and the chocolate truffle mixture to chill. 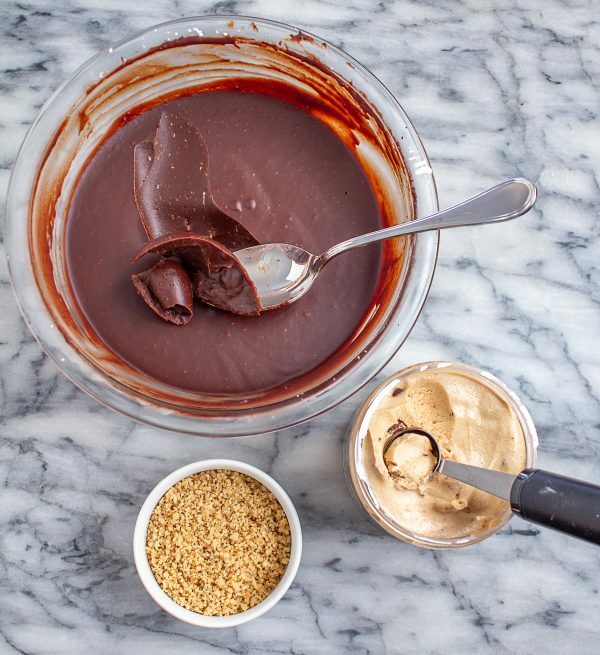 You must let the chocolate truffle mixture chill – you can’t roll out the truffles until the chocolate has chilled. You also need to roll small balls of the cookie dough and then freeze them. This is an important step because otherwise you won’t be able to neatly wrap the chocolate truffle around the cookie dough. 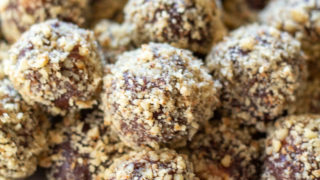 While you just need basic cooking skills to make these truffles, you do need a dose of patience. 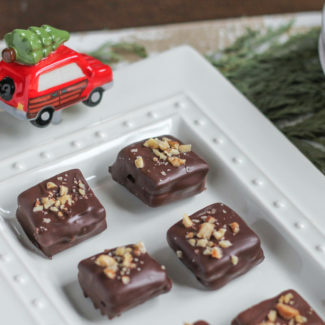 Once the truffle chocolate has chilled, rolling the truffles is easy – and I finished them by rolling them in chopped toasted walnuts. 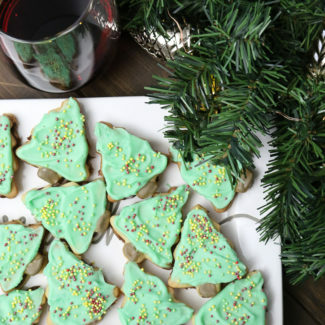 You could opt to use toasted crumbled graham crackers, powdered sugar, or cocoa powder. You want to roll them in something because otherwise eating them becomes a little messy. 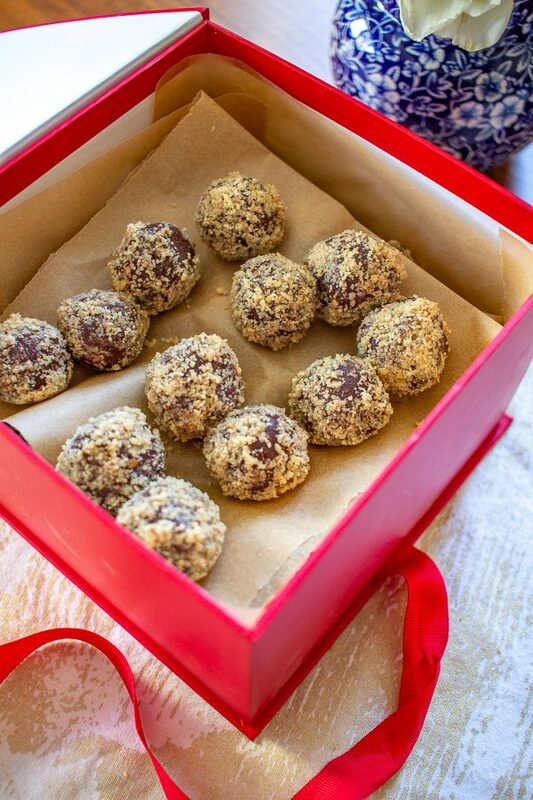 If you are giving these chocolate truffles stuffed with cookie dough as a gift, find a nice box and tie it with a bow. 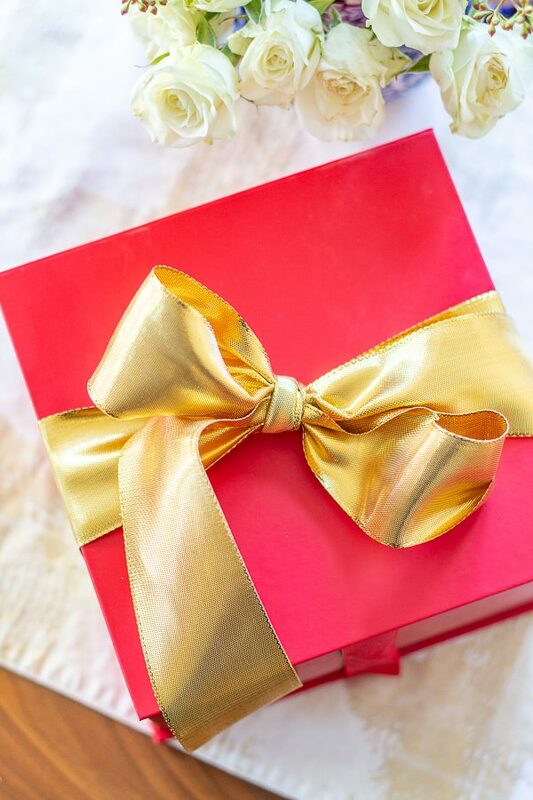 Yes, the photos show a massive box – I actually dropped the truffles off a business I have been working with – it wasn’t for one person! I bought the box at Walgreens, and it was so pretty and affordable. They have smaller sizes too – just look in the greeting card section (also not sponsored). 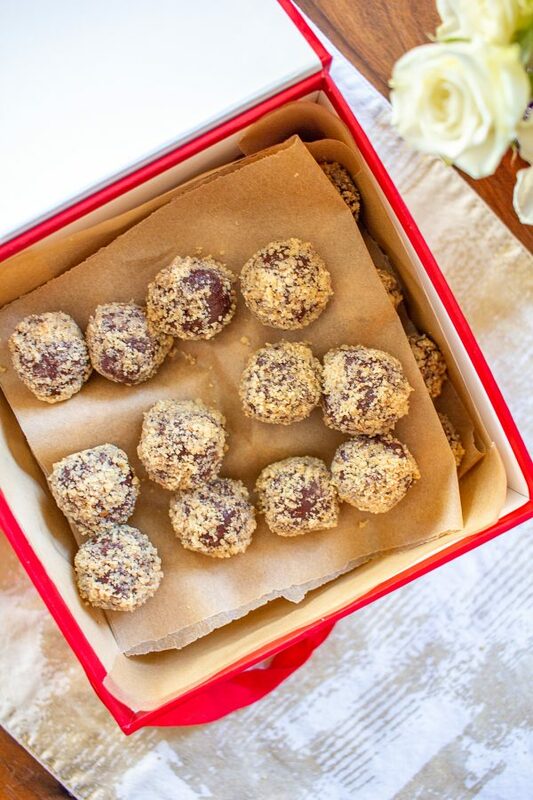 Let me teach you how to make truffles just in time for Valentine's Day. 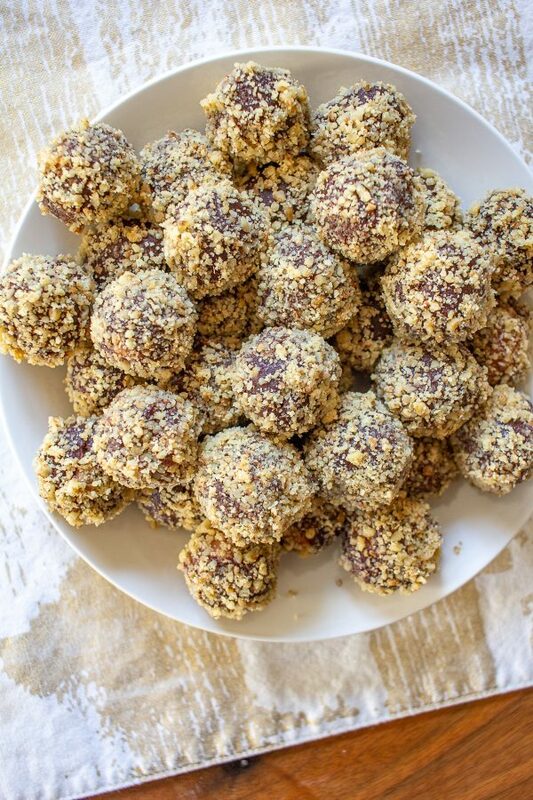 These Chocolate Truffles Stuffed with Cookie Dough are a delicious homemade gift, and they are easier to make than you think! Combine chocolate, cream, and 2 tablespoons of butter in top of double boiler. The trick to using a double boiler is to get the water steaming hot - but not boiling hot. You don't want to risk burning the chocolate. Whisk frequently until the chocolate has melted. Add sugar and yolks and whisk until smooth. Remove from heat and stir in the vanilla. Place in bowl and chill until malleable - about 2 hours. 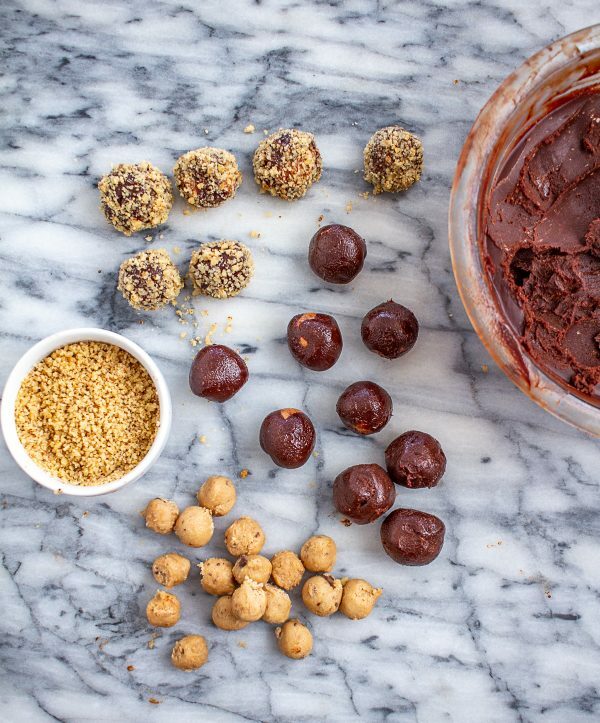 While the truffle chocolate is chilling, roll out the edible cookie dough into small balls. Use about a little less than a teaspoon per ball, and make about 20. Then place in the freezer. Next, toast your walnuts. It's really easy to burn nuts, to give this your full attention. Melt 1 teaspoon of butter in a skillet over medium low heat. Add the nuts, and sprinkle with salt. Toast the nuts for about 2 minutes, until they just start to smell toasted, then remove from the heat. Let chill for 5 minutes. Place the toasted walnuts in a food processor and pulse until the nuts are crumbs. To roll out the truffles, first, pour the walnut crumbs into a small bowl. 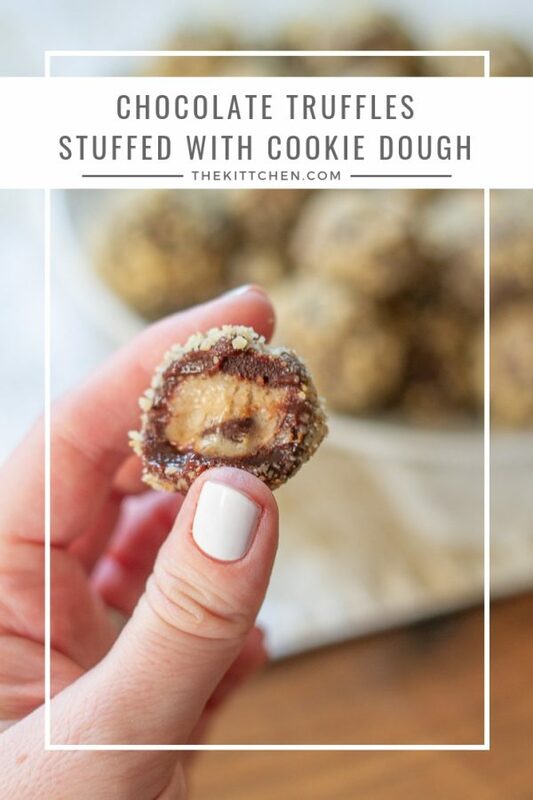 Then scoop out a heaping teaspoon of the chocolate, wrap it around a frozen cookie dough ball, and roll it into a ball, finish by rolling it in the walnuts. Continue until you have used all of the chocolate. 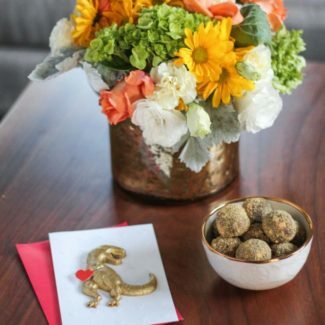 * The photos depict a batch and a half of truffles.